This is for my brother Andrei and for Irina who have both had the guts, tenacity and willpower to climb to the top of this beautiful scary high mountain and conquer it! 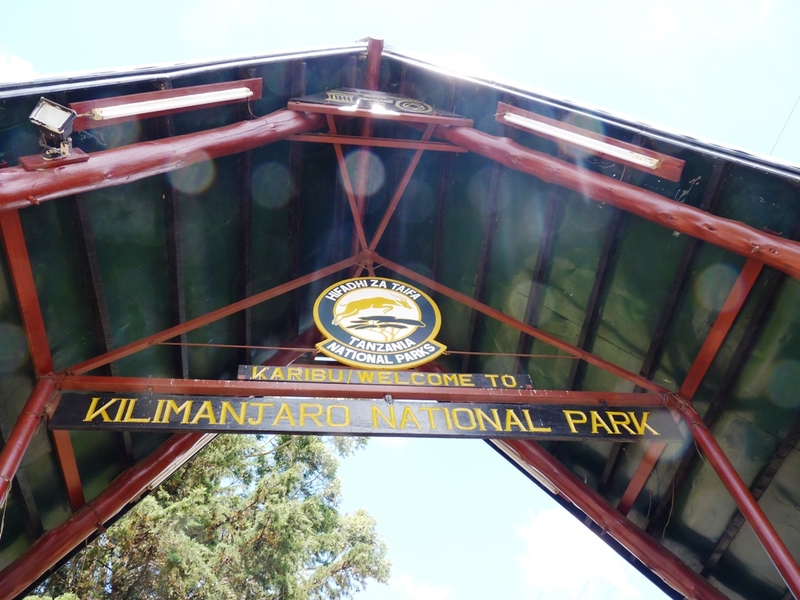 With its 5895 meters peak, Kilimanjaro is the highest free standing mountain on earth and due to its height and position it is covered in clouds most of the time. Thus climbers can only see its peak when they get above the clouds, which is almost at the end of the climb. We decided to use our last day in continental Tanzania for a trip at the base of the mountain, hoping we will get a glimpse of it. David, our safari guide,picked us in Arusha with the land rover we got so used with and let us know from the beginning that while we were on the safari it rained continuously in the area so we will probably not be able to see anything. His luck was not over yet though, we started driving on a sunny full open sky that stayed with us most of the day. And yes, we got to see the mountain!!! In more splendor that we would have imagined it can be. 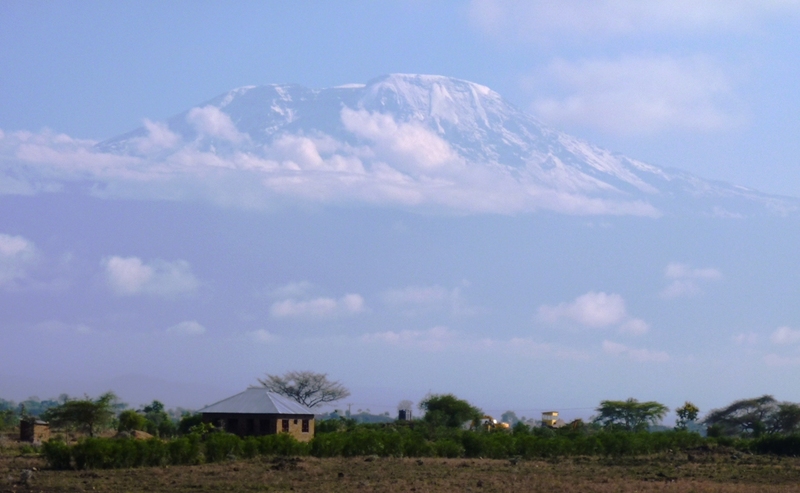 First we spotted mount Meru, the 3rd highest peak in Africa with its 4565 meters in the sky. Then while we were looking and learning about how millet is used in Tanzania (mostly for beer), I raise my head up and my mouth dropped to the floor. 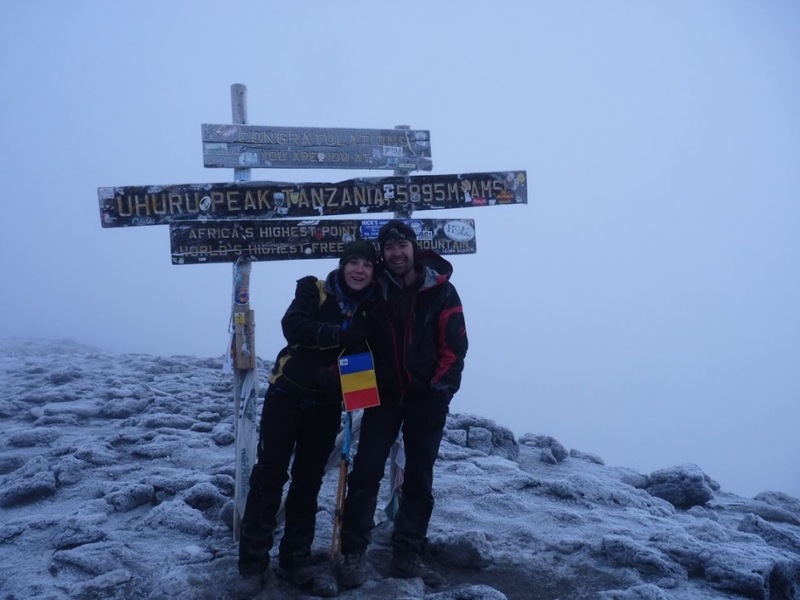 Kilimanjaro was showing himself up, and with its two peaks in full sun it was overwhelming. From there to the Marangu gate it was a game of who can take ‘the best picture ever’ so ‘we can send it to Andrei’. We both knew how much he wanted to have one of the full mountain. Here you are mister, we got it for you. La multi ani! We drove to the Marangu gate, which is one of the fifth starting points to climb the mountain. 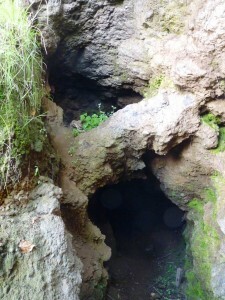 This trail is called the Coca Cola route because it is the easiest one for the not so trained climbers. It is a hopping from hut to hut climb, no tents required and the incline is the least steep from all the other ones. It is though the trail that has the highest risk of failure, as it does not allow a lot of time to adjust to the altitude, which is the key to conquer this peak. Once we got at the gate, the mountain shied away from us for the rest of the day and the clouds and rain came over, but we already saw everything we wanted Here, we took a tour at the base of the mountain, through some local gardens and banana orchards, saw a waterfall and some caves and got a present from a local lady: a fully ripen avocado just fallen from the tree. I ate it later that night and I have to admit I have never had such a tasty avocado in my whole life. And it was huge, bigger than a mango fruit Made my dinner for that day! Impressive. Specially since we saw it only after we climbed the first 3000 m.